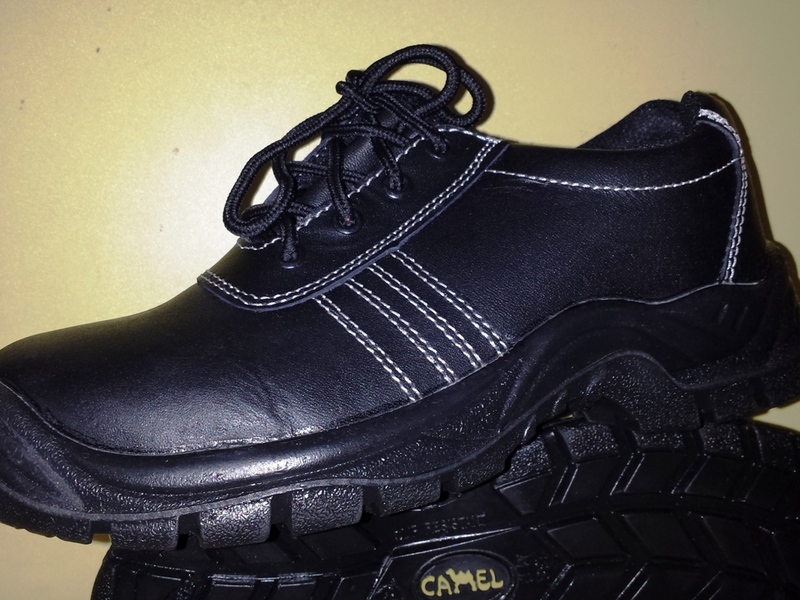 Steel toe, leather black, padded collar and tongue. PU sole anti-slip, oil resistant. 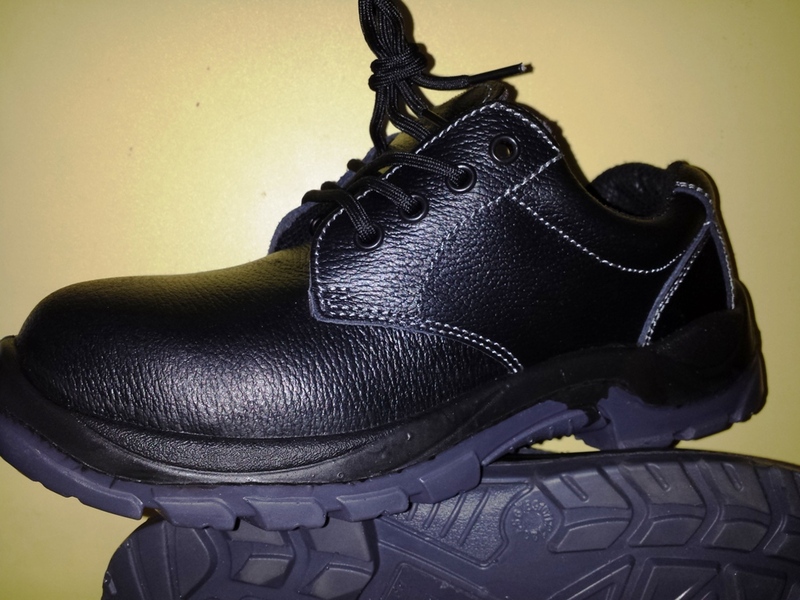 STEEL TOE & MIDSOLE. Genuine buffalo leather barton print upper, 200 joules steel toe cap, fabric lining, cushioned insock, padded collar. 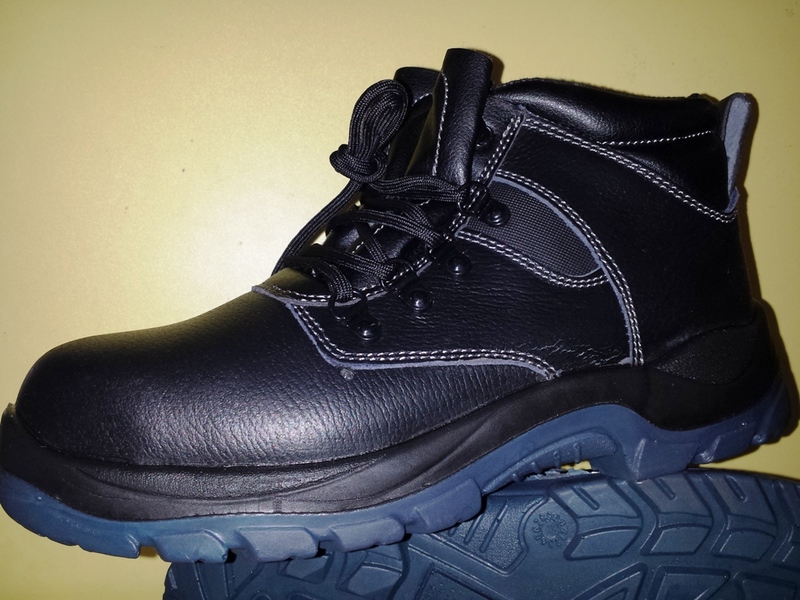 Made with Polyurethane (PU) outsole which offers superior oil resistance, slip resisistance, abrasion resisistance and longer shelf-life than normal PU outsole. Dual-density PU outsole offers lightweight & excellent shock absorption performance. Extra Wide-Fitting Toe Cap & Outsole design offer extra comfort.